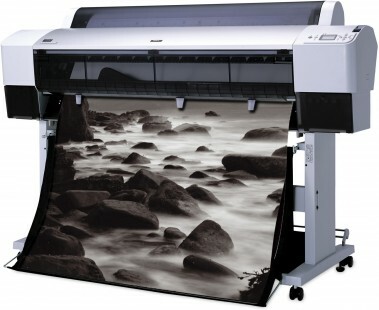 The Epson Stylus Pro 9880 printer is the ideal output device for large format graphic and business communication pieces - such as color comps, match prints (CMYK), checkplots, maps, presentations, banners, iron-on transfers, and backlit displays with resolutions up to 2,880 x 1,440 dpi. You get amazingly realistic photographic images, vivid color graphics, superb grayscale images, and razor-sharp black printing for detailed line art and crisp text. Capable of printing 44-inch wide by any length.